Finding your dream vehicle shouldn’t feel like a gamble. It should be a simple and pleasant process where you are guided by trained professionals until you find the vehicle that is perfect for you. If you are on the search for used vehicles in Medicine Hat then you should try to find the car dealership that has the dream vehicle that you have been looking for. House of Cars could very well be that dealership and we would like to take this opportunity to explain why this might be the case. Medicine Hat is Canada’s sunniest city with an average of 2512.85 hours of sunlight per year. With a lot to do and see in the surrounding area we spend a lot of time outdoors so you’ll want a vehicle that can get you where you need to be in the heat. At House of Cars we offer a range of makes to suit all tastes whether that’s Audi, BMW, Buick, Cadillac, Chevrolet, Chrysler, Dodge, or many more. With our 400+ vehicle inventory there will certainly be something we have to suit your tastes. To make things especially convenient for our customers we will use our network and expertise to track down any specific vehicle that you might be looking for but doesn’t happen to be in our inventory. When it comes to used vehicles Medicine Hat residents are spoiled for choice. Is your dream vehicle a car or do you perhaps want something larger to carry you and your family around Canada? If that’s the case then one of our SUVs may be what you’re looking for. Do you have a lot of cargo to transport regularly and need flexible storage options? We stock a wide range of trucks and vans that are all of a very high quality. Essentially we have something for everyone regardless of why they need their vehicle. All of our vehicles are CARPROOF and undergo thorough mechanical body inspections so that they are deemed fit for the road. To give you an even greater peace of mind all of our vehicles come with the option for warranty. Unfortunately some customers have a suspicious perception of the used car market. We have all heard the stories of a person buying a used car that looks great at first but quickly deteriorates over time and leaves the owner with a large hassle on their hands. When it comes to our used vehicles for sales Medicine Hat residents can be confident that they are getting the highest-quality vehicles with the best level of service at the lowest prices. The majority of the vehicles that we stock are young cars that are like new. With our thorough inspections and warranties you do not have to worry about their longevity or quality: we have you covered. 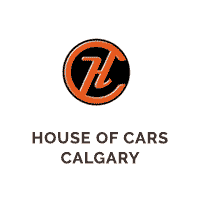 Looking to find your dream vehicle with House of Cars Calgary? It couldn’t be easier. Simply contact one of our helpful representatives today or browse through our online inventory to find the used vehicle of your dreams.